According to the most recent research from the Association of British Travel Agents (ABTA), Brits are looking forward to spending even more cash on their holidays in 2016. In fact, 23% of British travellers have said they will spend more on their trips abroad in 2016, compared to the 20% who said the same this year. In addition, the number of holidays booked for 2016 so far are on the up by 12% year on year, following the 5% increase in 2015 winter holidays booked. ABTA Members also reported there were a good number of bookings for Spain, Cyrus, Malta and Portugal during 2015 which is set to continue into 2016. However, when looking further afield, bookings to the likes of Cape Verde, Cuba, Thailand and Kenya have also been good for this year and are looking positive for 2016 too. Meanwhile the demand for Barbados, UAE and Jamaica is also on the rise for winter holidays in 2015 and 2016. It seems that the number of economic uncertainties and incidents which have taken place during 2015 haven’t deterred the Brits on the lookout to explore new destinations. ABTA’s Holiday Habits Report 2015 revealed that 1 in 5 people – or 18% - have said they are looking forward to travelling to a country they have never been to before; compared to 1 in 9 who said it in 2014. Meanwhile, 23% have said they will also be booking a new resort or city they haven’t been to previously – compared to just 10% who said it last year. 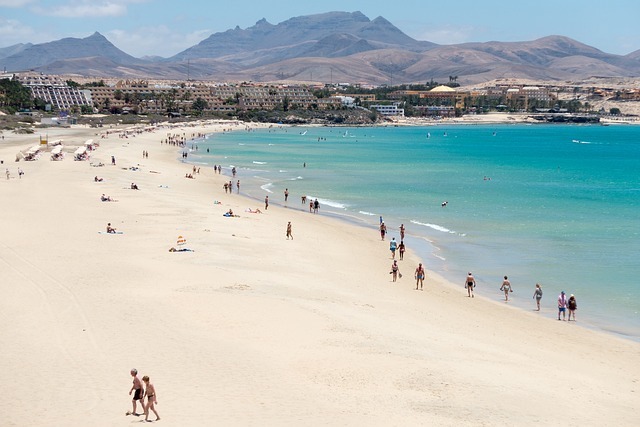 Mark Tanzer, Chief Executive at ABTA, commented that these figures are a reflection of the “resilient nature” of the average British holidaymaker, marking a rise in consumer confidence as we enter into 2016. Thinking of trying a new holiday destination next year? Don’t forget to book your adventure travel insurance in advance.